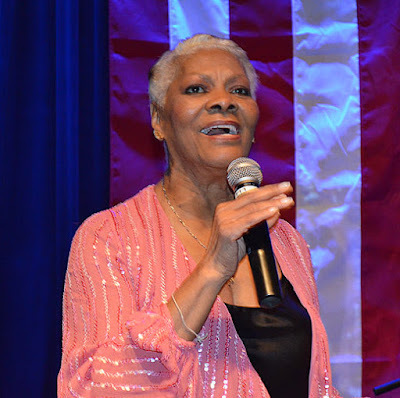 Englewood, New Jersey - The Board of Trustees at Bergen Performing Arts Center, located at 30 North Van Brunt Street in Englewood, New Jersey, are proud to welcome legendary singer Dionne Warwick as a new member. As a member of the Board of Trustees, Warwick will help coordinate a major fundraising event for bergenPAC, while also utilizing her stature in the industry to attract A-list performers to Englewood throughout the year. “I’m so appreciative that bergenPAC would ask me to be involved with the great work they do here and look forward to helping them in any way that I can,” Warwick said. In addition to her music and acting, Warwick has been a passionate goodwill ambassador and recently released a series of public service announcements aimed at raising awareness for the devastating impact of HIV/AIDS on older adults and women over the age of 50, especially African American women. “We are humbled to have such an iconic singer – and person – join us in our mission to bring live performances and arts education to the community,” said Chris Yegen, chairman of the Board of Trustees. Founded in 2003, the 1,367-seat Bergen Performing Arts Center, or bergenPAC, is the area’s cultural mecca. Housed in a historic Art Deco-style theater boasting one of the finest acoustic halls in the United States, bergenPAC attracts a stellar roster of world-class entertainment. The jewel in our crown is The Performing Arts School at bergenPAC – the innovative, educational performing arts initiative that, through programs, classes, outreach, school shows, and main theater presented shows, reach more than 30,000 students and community youth annually. The Performing Arts School provides community youth, age 2 months to 21 years, with unique, “hands-on” training in music, dance and theater by industry professionals. It is through the ongoing generosity of sponsors, donors, members, and patrons that the not-for-profit 501 (c)(3) corporation bergenPAC and The Performing Arts School are able to thrive and enrich our community. For updates, “Like” bergenPAC on Facebook (facebook.com/#!/bergenpacfan), follow @bergenPAC on Twitter, follow us on LinkedIn and visit our website at www.bergenpac.org.